Tomas Luis de Victoria (c. 1548-1611) was the most famous composer in 16th century Spain, and was one of the most important composers of the Counter-Reformation. In addition to being a composer, Victoria was and accomplished organist, singer, and a Catholic priest. It is believed that he preferred composing rather than performing. Victoria devoted himself exclusively to sacred music in the late Renaissance, and his music expressed his passion for Spanish mysticism and religion. Victoria was a master at overlapping and dividing choirs with multiple parts with a gradual decreasing of rhythmic distance throughout. His music demonstrates that he prefers simple homophonic textures with rhythmic variety and intense and surprising contracts. He also wrote polychoral works for more than one spatially separated groups of singers. Giovanni Pierluigi da Palestrina (C. 1525-1594) was an Italian Renaissance composer of sacred music and the best-known 16th century representative of the Roman school of music composition. 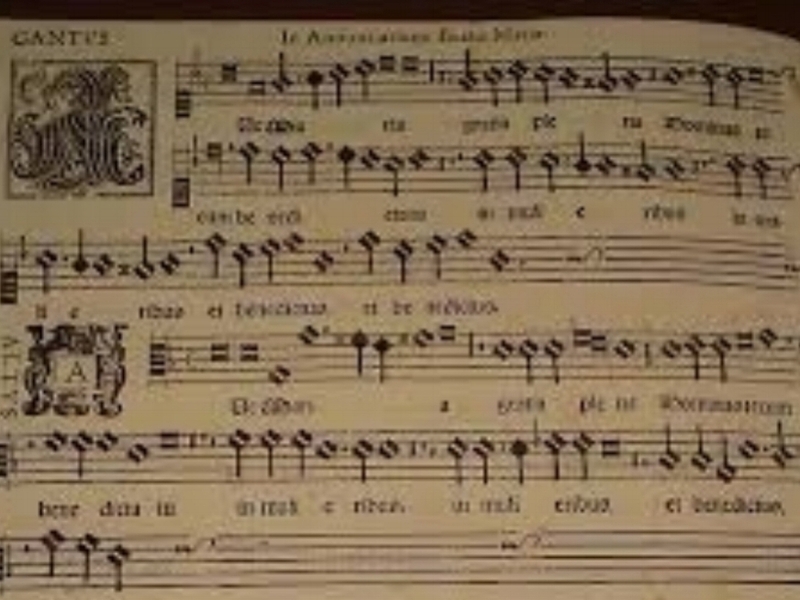 He had a lasting influence on the development of the church music, and his work has often been seen as the culmination of Renaissance polyphony. One of the hallmarks of Palestrina's music is that dissonances are typically relegated to the "weak" beats in a measure. This produced a smoother and more consonant type of polyphony, now considered to be definitive of late Renaissance music. The "Palestrina style" now serves as a basis for college Renaissance counterpoint classes, thanks in large part to the efforts of the 18th-century composer and theorist Johanh Joseph Fux, who, in a book called Gradus ad Parnassum (Steps to Parnassus, 1725), set about codifying Palestrina's techniques as a pedagogical tool for students of composition. Fux applied the term "species counterpoint", which entails a series of steps whereby students work out progressively more elaborate combinations of voices while adhering to certain strict rules. Palestrina's own music contains ample instances in which his rules have been followed to the letter, as well as many where they are freely broken. Chamber Choir: A small or medium-sized choir of roughly 8 to 40 singers, typically singing classical or religious music in a concert setting. Cantus Firmus: (“Fixed song”) The process of using a pre-existing tune as the structural basis for a new polyphonic composition. Polyphony: Polyphony is a style of music that consists of two or more simultaneous lines of independent melody, as opposed to a musical texture with just one voice, monophony, or a texture with one dominant melodic voice accompanied by chords, which is called homophony. Motet: A short piece of sacred choral music, typically polyphonic and unaccompanied.